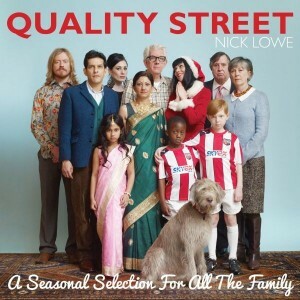 Today’s Cool Album of the Day (#985 in the Series) is Nick Lowe, Quality Street: A Seasonal Selection For All The Family. I love Christmas albums. 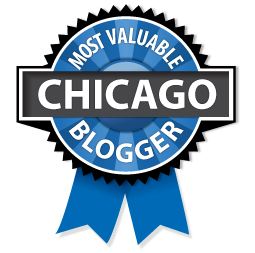 I have a pretty good collection of them and I usually find something old every year that I add to it. It is rare that I find something new as I am very picky and traditional about my Christmas music. Let’s face it. We have the traditional carols and then about a dozen or so once original pop Holiday songs penned from the 1930’s through the 60’s that get redone over and over again. It is rare that an artist is brave enough to mess with that and if there is anything original they usually just mention the holidays and slap sleigh bells on the mix in place of tambourine or handclaps. 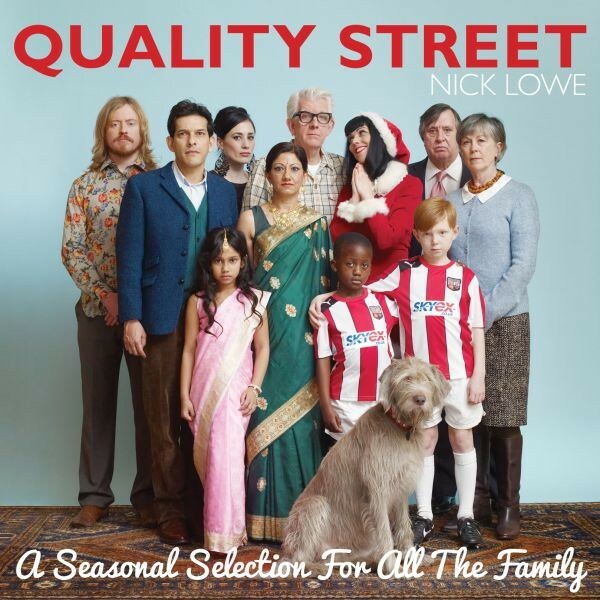 Oddly enough, Nick Lowe has just the bravery to mess with that and the result is a welcomingly fresh seasonal joy entitled Quality Street: A Seasonal Selection For All The Family! When I first heard of this album, I was a little taken back. 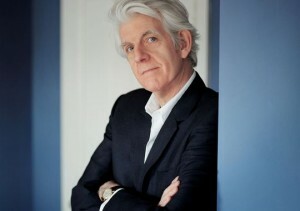 Long since removed from Lowe’s “Basher” days, when he was one of the best producers of the late 70’s/early 80’s new wave/ post punk era and co-front man (along with guitarist Dave Edmunds) of the various Rockpile projects, Lowe has recently settled over the past 15 years with some really nice albums that show a more cool, relaxed swing that still show the vibrance of his “Basher” days. Still, a Christmas album did not seem like a Lowe type project. Apparently, he didn’t think so either. When his record company suggested it to him, he immediately shrugged it off. But in true Lowe fashion, he took on the task unlike many artists and made it his own. Thankfully, he changed his mind because “Quality Street” (the name of a British candy that is known for it’s holiday popularity) is a delightful blend of traditional hymns, forgotten covers and Lowe originals. A traditional gospel number kicks of the album but done in a rockabilly/skiffle style that only Lowe would have thought of on the track “Children Go Where I Send Thee,” which features the great Geraint Watkins ( an old alumnus of the Rockpile years ) swirling and stomping on the Farfisa organ. A great, bopping little number, “Hooves On The Roof” was written especially for this project by Ron Sexsmith. Wrapping up this package is a hearty ska number, “I Wish It Could Be Christmas Every Day,” which is the exclamation point on Lowe’s fresh take on an old tradition. It is all his own and done, as Lowe has mentioned in interviews, in a “sleigh bell free zone,” that should be a new holiday tradition for years to come! what is 9 in addition to 6?